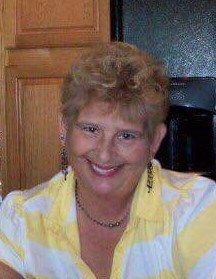 Gerrie Combs, 68, of Louisville, Kentucky, passed away on Sunday, April 14, 2019. She was born on June 25, 1950 in Louisville, Kentucky to Kenneth and Irene Griffin. Gerrie was retired from JCPS. She loved her family and roosters. Gerrie is survived by her husband, Verdon Combs, daughter, Anna (George) Compton, grandchildren, Shane (Shelby) Compton, Zachary Compton, and Amber Compton, siblings, Janice Bauer, Kenneth (Michelle) Griffin, Connie (Mike) Woods, and Kelly (John) Bayse, stepchildren, Faye (Chris) Shirley, Leanne (Steve) Morrison, Scott Combs, and Mike Combs, step-grandchildren, Jeremy Whitmer, Dakota Shirley, Samantha (Chad) Bowlin, and Steven and Dustin Morrison, great-grandchildren, Alexander Compton, and Leland, Lilee, and Braxton Bowlin, and several nieces and nephews. Visitation will be from 4:00 pm to 8:00 pm on Thursday, April 18, 2019 at Newcomer Cremations, Funerals & Receptions - Southwest Louisville Chapel, (10304 Dixie Hwy). Her Funeral Service will be at 11:30 am on Friday at the funeral home with burial to follow at Evergreen Cemetery. To leave a special message for the family, please click, "Share Memories". Add your memories to the guest book of Patricia "Gerrie" Combs. Thoughts & Prayers to the Family A very sweet Christian lady I am very Blessed to have know her , May her Memories bring You all comfort , Remember this ant good bye . I was only fortunate enough to know you towards the end of your life when you started dialysis but I do have to say, out of ALL the patients I've ever had, you were always one of my favorites. I'm lucky to have had you in my life and will miss you every MWF morning and so many other times as well. Thanks for being one of the reasons I became a nurse.